OK, this isn’t exactly haunted real estate, but it’s a related genre and we are almost at Halloween – a holiday for all sorts of boys and ghouls, sweet and scary costumes. So let’s digress today and check out a real estate site that is featuring set locations for horror films, Wrong Move (part of the WhatHouse.co.uk website). Enclosed by forest and situated under the shadow of Mount Hood, the estate is often shrouded by a cloak of fog and darkness and receives far less sunlight than the national average. This unique location is perfect for families and couples who enjoy the outdoors. All Hallows Estate has been commended for its picturesque Lake of Eden and currently holds the record for the world’s largest graveyard. Off on the right sidebar, find loads of links to other set locations of creepy films sure to keep you from sleeping peacefully at night. Happy reading. And Happy Halloween! The first “haunted tours” in the U.S. happened in scenic Savannah, Georgia – a place I’ve wanted to visit forever but haven’t yet been able to see. Someday soon, I hope! Meanwhile, I’ll do some armchair traveling and invite you to join me in doing so. . . . This morning I got a nice email from a writer at Zerve, Emily Morris, who enjoys this blog and wanted to call my attention to an article of hers on their site: Celebrate Halloween by Discovering Your Town’s Spooky History. Have a read and check out the other links for spooky tours around the country. You’ll want to put Savannah on your “must see” list too! 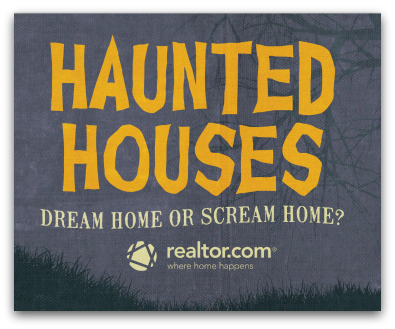 Today, Realtor.com, the leader in online real estate, operated by Move, Inc. (NASDAQ: MOVE), released the results of its Haunted Housing Report, which ran on Realtor.com® from Sept. 25 to Oct. 1 and explored consumer sentiments around haunted real estate. Survey results from nearly 1,400 respondents reveal consumer thresholds for purchasing haunted houses for sale, past experiences with spooky homes, popular “warning signs” of a haunted home, expected discounts when buying haunted houses for sale and intolerable scary occurrences. 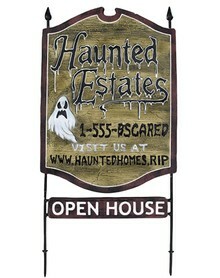 38 percent revealed that they would not consider a haunted home purchase. Looking for a haunted hotel room? Is your idea of a great vacation one in which you stay in a haunted hotel room? It’s not mine – I don’t actually want to sleep with ghosts – but apparently many of my readers love the idea! So today’s your lucky day, if that’s your goal. 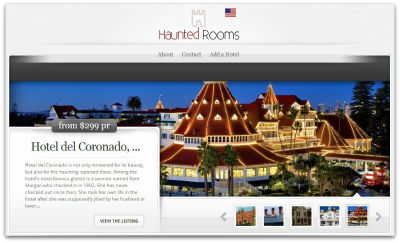 There’s a wonderful resource for finding haunted hotel rooms: http://www.hauntedrooms.com. A quick look at the site reveals an intuitive layout (would you expect less for something related to the paranormal?). The visitor can use a quick search tool by city or state, or instead navigate a map to located the ideal haunt. 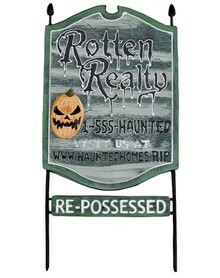 Additionally, if you are the proprietor of a spooky site, you may also add your abode to the directory. Right now there are over 100 hotels listed, with more coming online all the time. Finally, this site is an expansion of another one in Great Britain, so for those of you who really want to go the extra mile, have a look at this website too: www.hauntedrooms.co.uk . Someone on Facebook shared the link to this article from the humorous blog cracked.com, and I thought my Haunted Real Estate readers would enjoy it too. “American Horror Story” revolves around the Harmons, a family of three who moved from Boston to Los Angeles in order to reconcile a dark past and end up with a home that has some baggage of its own.